With just over 3,000 inhabitants, this small island archipelago in the South Atlantic recently made it back into the headlines, as Argentina and the U.K. dispute sovereignty issues surrounding oil exploration by a British firm. Known in English as the Falkland Islands and in Spanish as Las Malvinas, we want to look at why this little-known place brought two influential nations to war in 1982 — a conflict that now threatens to reignite. Maria Victoria Murillo is a professor of Latin American politics at Columbia University’s School of International and Public Affairs. She has done fieldwork in Argentina, Chile and Venezuela. 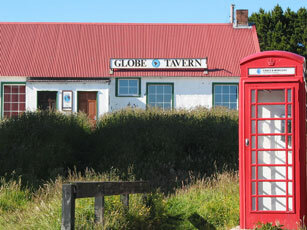 Juanita Brock is bureau chief for the Falkland Islands News Network, which is a part of the South Atlantic Remote Territories Media Association. She resides in Stanley, the capital city. I was under the impression GB won the conflict! Imagine oil wo.raise the stakes!! This wont go away, even if there is no oil! Codominium is the only solution. Well, now it all makes sense–oil.